We are very excited to be featuring some additional ideas with the new "The Graduates" Collection. First darling banners ideas by Amanda and second some darling cards with short tutorial on a fun washi tape technique. It's that time of year again! 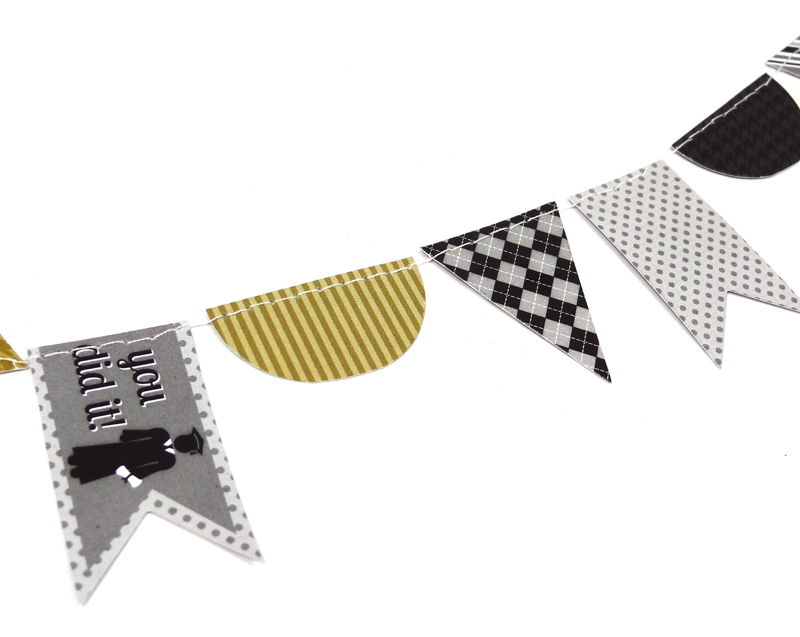 Amanda here today with a few simple ideas for creating graduation party garlands. 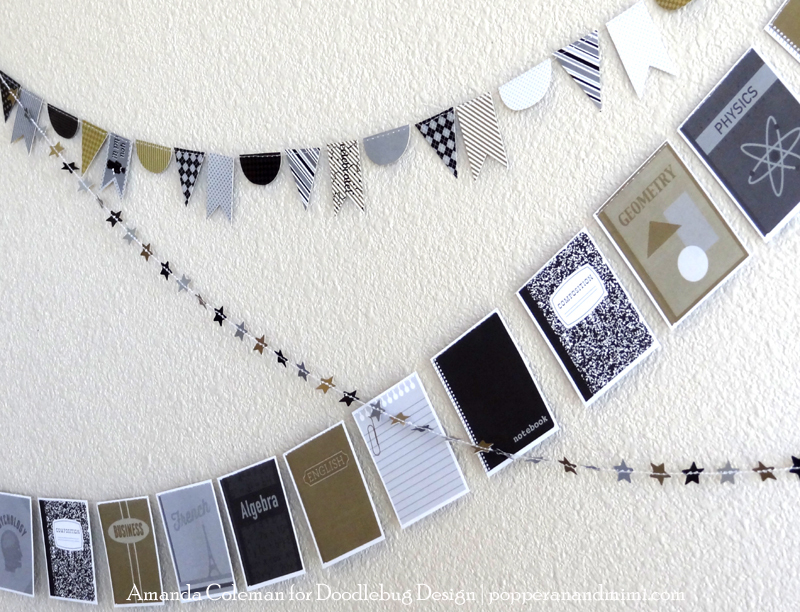 With a few basic scrapbooking supplies and a sewing machine, you can whip up your own party garland in no time. 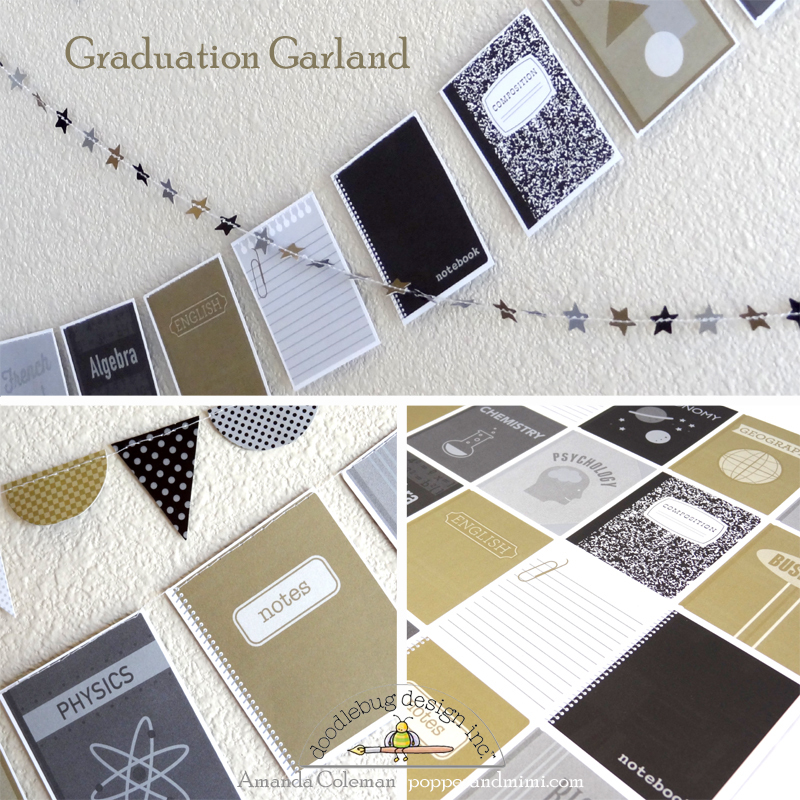 Using a variety of products from The Graduates collection, I made a few easy garlands that would be perfect for a graduation celebration. I cut apart the book covers on the Study Hall 12"x12" paper and stitched them together to create a garland. A book cover garland would be so much fun for a graduation party. 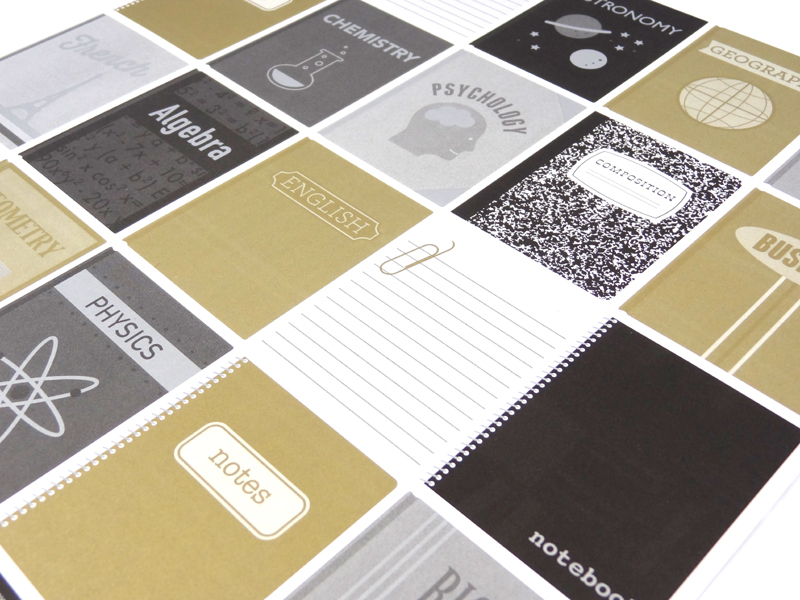 Isn't this paper fantastic? All cut apart, one page of 12"x12" book cover paper makes a garland that is about 4.5 feet long. Not too shabby! I created one strand of garland by trimming the tabs off of the Pixie flags and then stitching them together. I cut the Pixie circles in half to create the scallop flags. I used the The Graduates Star Garland all on its own to compliment the the book garland and Pixie garland. 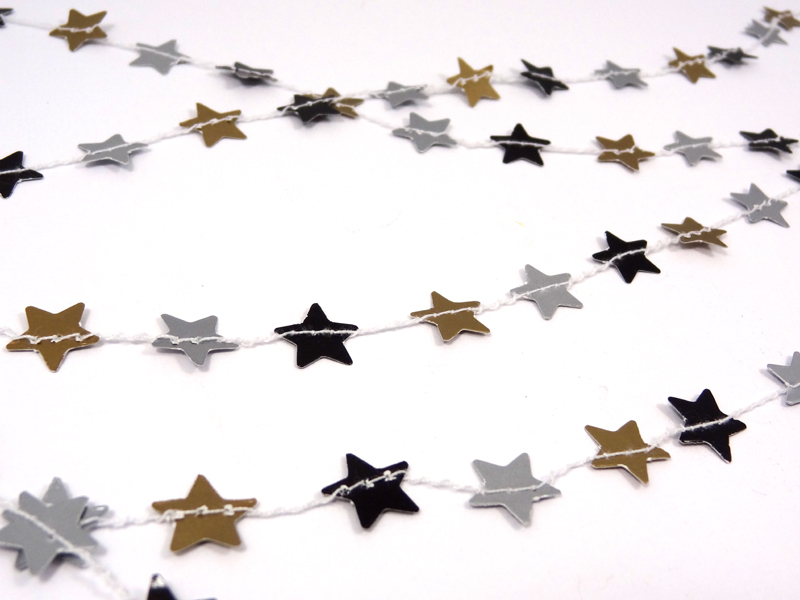 The mini star garland is nearly 5 feet long making it perfect for party decor. End-of-the-school-year greetings, Doodlebug friends...that time of year is quickly approaching! Today I have a couple of super cute card versions for you. postage stamp shape; for stability, I mounted it onto the same sized white cardstock. decorating the banner portion of the sticker with the year of the graduate. A little pop of orange was used on the owl's cap and we're done! size that you need; I've used white. passed the line and wrap the excess around the back of the paper. Continue until the piece of cardstock has been completely covered. Corner round the bottom edges if desired. of the design fairly simple and frou-frouless! THREE FABULOUS garlands and TWO AWESOME cards!!! LOVE the stitched book covers and Pixie flags!!! LOVE the Sprinkles vellum and WONDERFUL Washi chevron - thank you for the tutorial too!!! there are a great projects! Wow! I love these banners! Such an awesome idea! Wow, I love Shelle's card--it looks super awesome designed with all that fabby washi tape! And those very stylish and sophisticated grad banners are out of this world!!! Really, truly wonderful. So much inspiration today!!! Thanks so much for another wonderful week of great ideas and lovely Doodlebug eye candy! and would be fun to make. 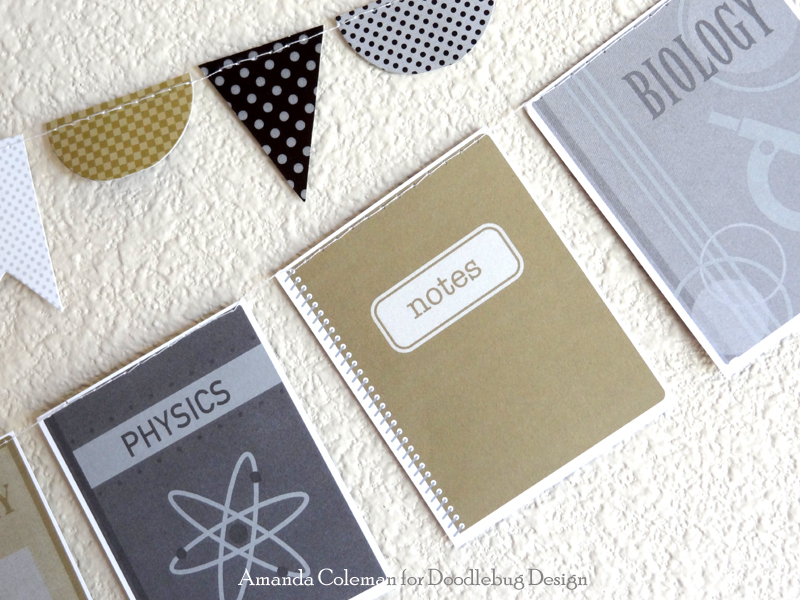 I pinned these adoreable cards! Thanks for the chance to win some of this great line so I can make my own! Thank you so much for sharing these cards. Fabulous card! Love the step by step and the Washi. Mr. Owl is the best. These are awesome projects! My third and youngest daughter is graduating in June. Nice ideas for some cards. 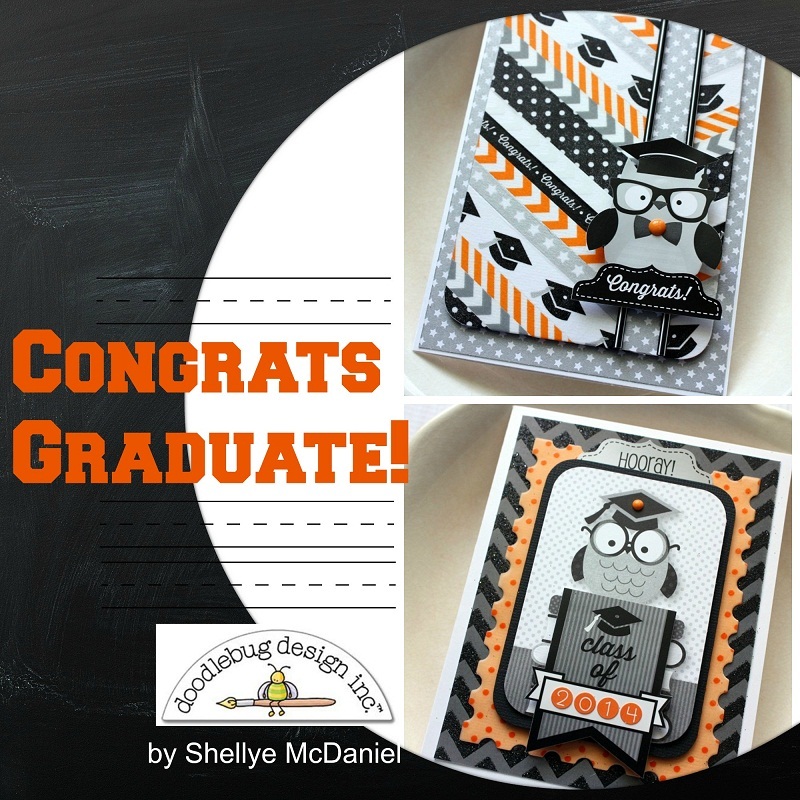 I pinned the cute grad card Shellye created, LOVE the chevron Washi Tape panel, such pretty patterns combined together to make AWESOME!!! Ohhhh soooooooo cute~~ I really love the papers/patterns.. okay.. realllllllly love that washi tape.. (big smile) Thanks for the give~away.. I appreciate it!! L.r. Smith on fb pg..